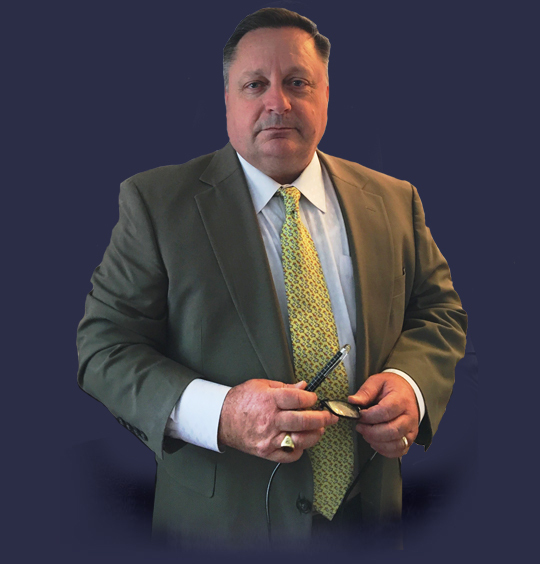 Attorney David Love has decades of experience and is known for aggressively and successfully representing thousands of people throughout the state of Maryland. Areas of concentration include defense of serious criminal charges, DUI, and traffic violations. He also represents persons seriously injured in automobile collisions, work related injuries, and other personal injury claims. In addition, his Firm provides estate planning services. Associations: Graduate: Training: Maryland Law Enforcement Officers Training School and Criminal Justice Academy; FBI Criminal Justice Academy (SWAT); United Sates Drug Enforcement Administration-DEA (Narcotics and Dangerous Drug Enforcement); University of Maryland (National Vehicular Homicide / DWI Investigative Techniques); and Department of the Treasury-IRS (Financial Investigative Techniques). Member of the International Association for Identification, the Federal Bar, the Maryland Bar, the Maryland Bar Association, the American Bar Association, the Association of Trial Lawyers of America. He has been voted into the Top Attorneys of North America, and is the recipient of the American Jurisprudence Award. Honors: Deans List; Selected- Who’s Who American Law Students; Selected- National Registry Who’s Who; Recipient- American Jurisprudence Award; and selected to Top Attorneys of North America. Education: dual Bachelor of Science Degrees from Towson State University Class of 1985, Attended the Southwestern University School of Law, Juris Doctorate Degree from University of Baltimore School of Law Class of 1993. Admission Details: Admitted in 1993; Maryland 1994; U.S. District Court, District of Maryland 1995; and U.S. Court of Appeals, Fourth Circuit. Exceptional legal services with a friendly, knowledgeable staff, ready to assist with all your legal matters. Call Us Today . . .